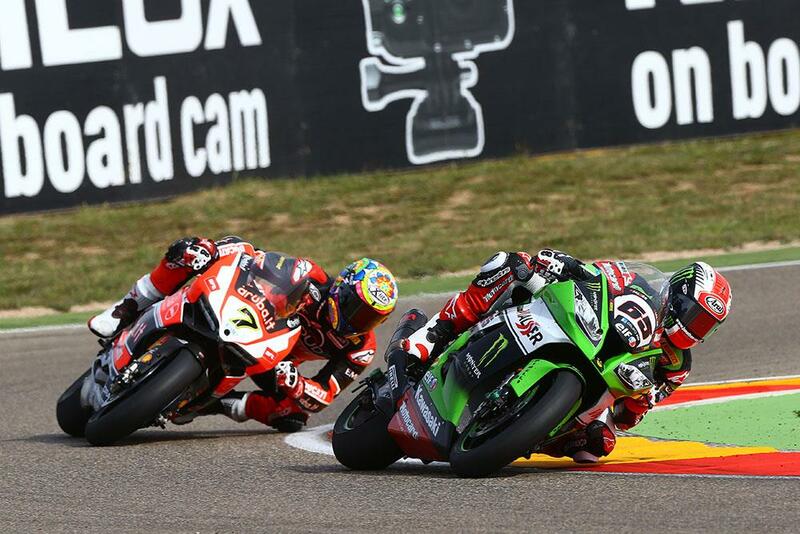 Jonathan Rea secured his sixth win from eight starts in the WSB Championship at Assen, winning race two by 0.439 seconds from Chaz Davies (Ducati). Local rider Michael van der Mark (Honda) took his second podium of the day in third place. In front of Sunday’s portion of the total weekend attendance of 55,724 spectators - up on last year - the WSB riders left the best for last as five of them had a battle royal behind, the long time leader Tom Sykes for some of the race. 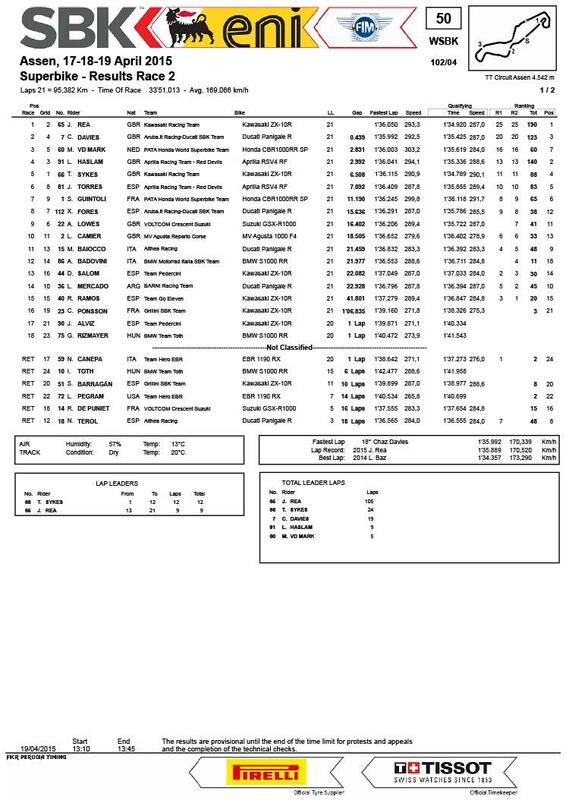 Davies, Rea, Haslam and van der Mark passed and re-passed, running as one unit within the same second around the classic 4.542km Assen circuit, in marginally warmer track conditions than in race one. Track temperatures had gone up from 18 to 22°C. The action up front was endlessly flammable, with Sykes determined to stay ahead for as long as possible. Rea, the early leader, passed Sykes again shortly after half way, as did Davies, but the top five remained together for a time after. The brilliant action on some of the fastest turns of the whole championship trail saw Sykes drop to fifth on lap 15, then drop off the back a little just one lap later. Haslam was making a play to lead by the 17th of 21 laps, but Davies was attempting to pass him, allowing Rea a small but vital space in which to gain a few tenths. Sykes was behind but not left behind with four to go, some 1.3 seconds from his team-mate, until his pace dropped off some more. Haslam was eased to third as his pace dropped on lap 18, leaving van der Mark frustrated behid – until the last lap. Davies put in the best lap on lap 18, a 1’35.992, as he attempted to chase down Rea, a second up on Haslam. Sykes was into the 1’37s again by lap 19, having to settle for fifth. Rea had half a second on Davies into the final lap and just controlled the gap to the end, scoring another full point finish. Behind, van der Mark made a remarkable pass on Haslam on the fast left approaching the chicane, to hold on for third. Rea is 50 points ahead of Haslam now, after eight races.